When dealing with tax debt, people have options. They can choose to deal with the IRS on their own, or they can decide to hire a local Minneapolis tax attorney or tax relief firm to deal with the IRS on their behalf. It’s often a better choice to let the professionals handle it, as they’ve had years of experience and will be able to assess your situation based on comparison and knowledge. When searching for some help with tax debt, and going the professional route, consider these three important tips before making any decision. Sometimes, even those who have made the decision to hire an attorney or tax relief firm will reconsider after they are hit with the fees. While fees vary, many believe they are not in a position to pay, especially when they’re already in debt with the IRS. The reality is though, the IRS is much more likely to drain your bank account when you don’t have a professional on your side. An IRS tax attorney in Minneapolis, or wherever you may be, can protect your accounts, your assets, and give you peace of mind during the entire process. Those who represent themselves will most likely end up paying more than the cost of hiring a professional. Your tax case will be different than the person before you, and so on. Even if you decide to do your own research, and make an effort to understand tax laws on your own, it will not benefit you in the same way as hiring a tax attorney or company. Because each tax case is so unique, it’s generally only professionals who can point out glaring red flags, break down what happened, and even give you the tools you need to completely stay out of tax debt in the future. One of the most priceless benefits of hiring professionals to handle your tax case is the fact that they’ll be able to offer you options. There are going to be a number of different directions your case can go in, and you’ll need someone who understands all of them and can advise you on the best one. Having a clear understanding of all your options will help you get back on the road to financial success. 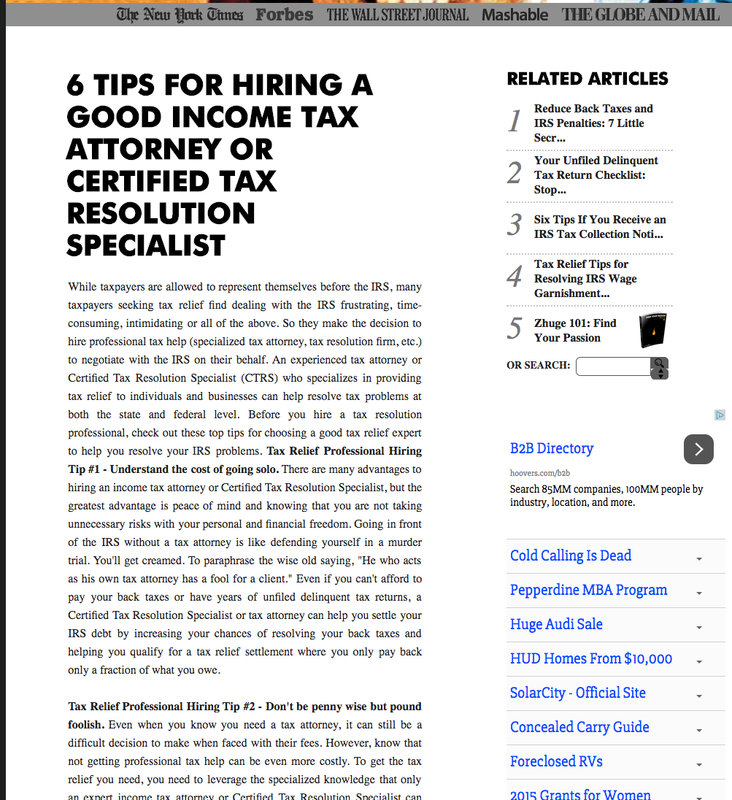 Whether you are looking for a tax attorney in Minneapolis or beyond, considering these few tips will help you get out of tax debt quickly and efficiently.